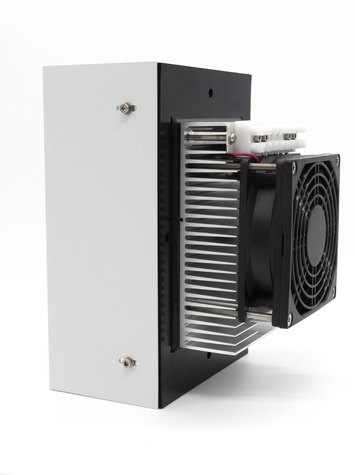 Our size 1 switch cabinet coolers are specially designed for use in smaller switch cabinets. However, they offer all the advantages that distinguish our larger switch cabinet coolers, e.g. position-independent installation, fast commissioning due to simple electrical connection or interchangeability with a more powerful switch cabinet cooler of the same size. The size 1 control cabinet coolers achieve high performance through high efficiency at a favourable price. The outside of all our “Standard” switch cabinet coolers is IP67 protected as standard. Our size 2 switch cabinet coolers are designed for use in medium-sized switch cabinets. They can be installed in any position and guarantee fast commissioning by simple electrical connection. 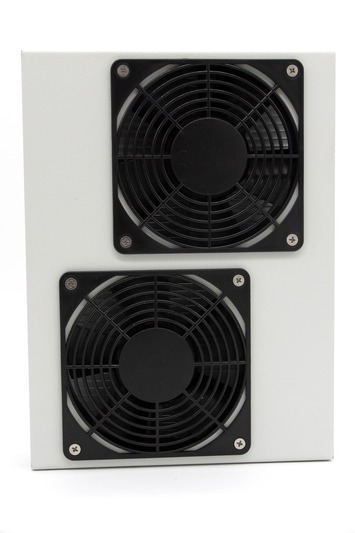 Due to the same external and connection dimensions, all size 2 switch cabinet coolers are interchangeable. All control cabinet coolers of the “Standard” series are equipped with overheating protection and alarm relays. The outside of all our “Standard” switch cabinet coolers is IP67 protected as standard. Size 3 control cabinet coolers are specially designed for use in large control cabinets with high heat outputs to be cooled. The “royal class” of switch cabinet coolers is therefore equipped with two ribbed bodies on the inside of the switch cabinet. 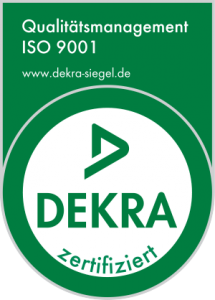 Here, too, installation is independent of position, commissioning is fast and interchangeability is ensured due to the same connection dimensions and the same size. As a special version, the power consumption can be increased up to 800 watts. The outside of all our “standard” switch cabinet coolers is IP68 protected as standard.